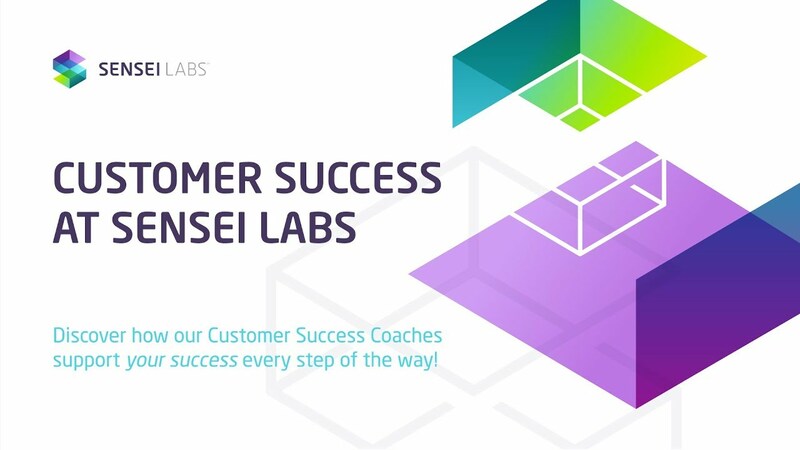 Our Customer Success Coaches ensure that your launch of any of the Sensei Labs digital workplace solutions is successful throughout all levels of your organization. We focus on understanding your unique business needs and work with you to configure your instance so that it’s just right for you. We’ll help you integrate your digital workplace into your everyday work and culture. We’ll coach you and your team every step of the way to onboard, train, and support your goals throughout your organization. Whether you’re migrating from existing tools or this is your first time using a digital workplace tool, we understand this is a personal experience for each and every member of your team. That’s why you’re paired with a personal Customer Success Coach who will work with you and your team every step of the way. We start by understanding both your business and your culture. We guide you through workshops involving people from across your organization to ensure that your instance perfectly aligns to your needs. By defining your current processes and tools, how your people work best and your approach to culture, we work together to craft a Success Roadmap that will outline our journey to implementing your digital workplace and making sure your organization is set up for long-term success. Adoption of your digital workplace solution across your entire team is key to it’s overall success. We help boost adoption with strategic planning and support on adoption-boosting exposure tactics including awareness campaigns, communication planning, and identifying super users and advocates to champion adoption internally. A strong onboarding program leads to confident and engaged users. We work with you to build a training roadmap, identifying the who, what, where, when and how! Depending on your needs, we can offer train-the-trainer workshops, genius bar days, in-platform welcome tours, training videos, guides, and more. During the implementation phase, we work with you to customize your instance to reflect your company culture and brand. From logo placement and integrating your brand colors to infusing your company values into the recognition and social elements, we’re here to help you make your instance your own. We guide you through the selection of the apps and features that you want to activate and coordinate with your IT team to get your team set up and ready for launch. Post launch we remain in close contact with your team, partnering on ongoing strategy to ensure you achieve the unique success metrics that you have defined. We monitor usage and track trends to verify that adoption has been successful and determine what additional training may be needed, as your team evolves. We proactively provide you with advice and guidance on how to optimize usage of the platform. Beyond just usage stats, we monitor your ongoing user engagement. We track KPIs and/or OKRs provide Quarterly Business Reviews, and work with you to reach your success goals – however you define them. Connect with us and see how our Customer Success Coaches can help your team transition to the digital workplace tools to help you execute and evolve faster.